This is the latest volume in the acclaimed series that depicts medicine as depicted in art throughout history. This sumptuously illustrated volume offers a visual history of the depiction of illness and healing in Western culture, ranging from Egyptian wall carvings to medieval manuscripts and from paintings and sculpture by the great masters of the Renaissance to 20thC artists such as Matisse & Magritte. 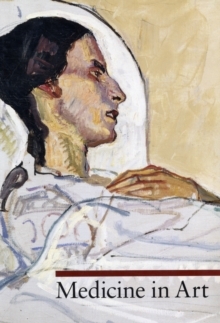 Thematic chapters cover the examination of patients and their maladies; healing and medical treatments; and the sufferings and hopes of patients awaiting cure and recovery. Psychological anguish, represented by Masaccio's "The Expulsion of Adam and Eve", and Munch's "The Scream", are also treated along with more obvious physical manifestations.